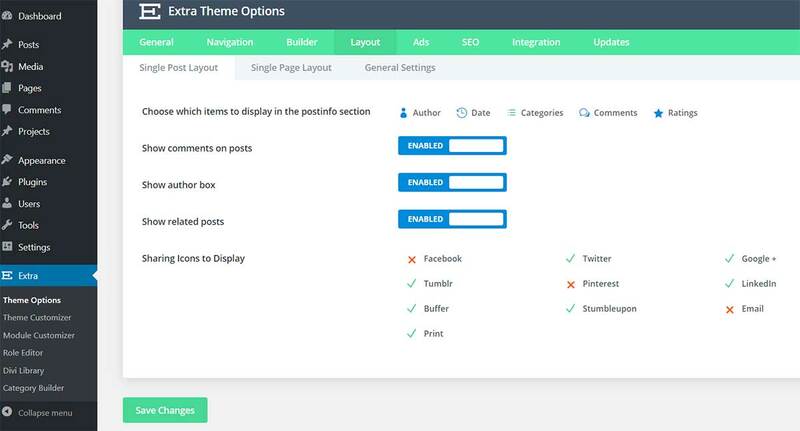 Extra Theme Review: Is this the Ultimate Magazine WordPress Theme from Elegant Themes in 2019? Extra WordPress theme comes from the team of talented developers over at Elegant Themes. It is powered by their famous drag and drop page builder, making Extra highly customizable and flexible. You have complete control over your site’s layout. On top of these, the theme also comes with WooCommerce compatibility and a dedicated review and rating system for your users. To help you get started with your magazine website, Extra offers a bunch of professionally designed ready to use demo websites which you can import and start using with a click of a button. You can either use these demos directly or tweak theme till it perfectly resembles your dream website. For customization and tweaking purposes you have access to the every powerful Divi Page Builder. The Divi Page Builder plugin is Elegant Themes prized creation and for good reasons. It is one of the most powerful and feature-rich drag and drop page builder for the WordPress CMS. The plugin offers a WYSIWYG site creation experience comparable to none other. You will get access to 40 unique content modules to help you create your posts and pages. Each of these content modules comes with its own set of customization options for more options. 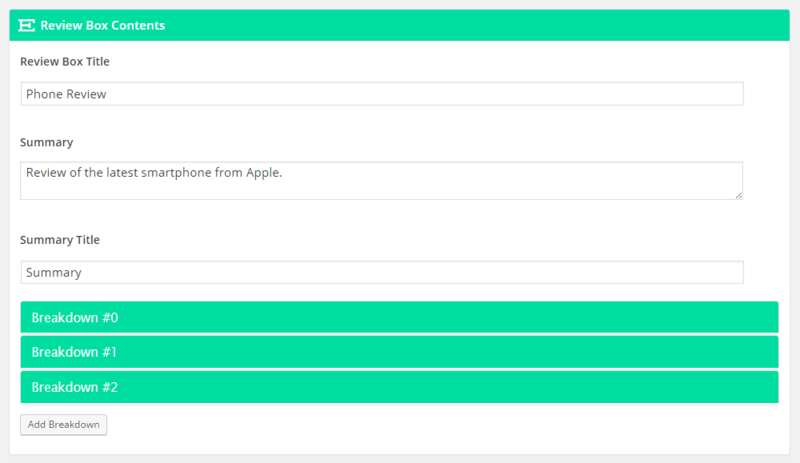 And if you are still not satisfied, you will also get Custom CSS support to help you integrate your styling. For all practical intent and purposes, your imagination is the only limitation you will have while creating your website. 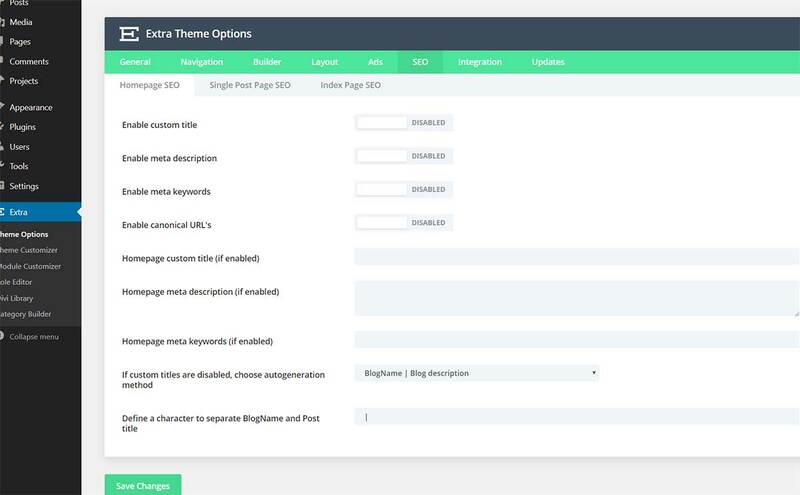 Extra Theme’s version of the Divi Page Builder comes with some “extra” functionalities. It uses the Divi Builder Framework and adds specific features to help with category and post building. Each one of these modules can be dragged and dropped into place to help you create professional-grade high-quality posts and categories. Also, much like the other design modules, these too come with their own set of customisation options start from font size, colour, spacing, and so on. Magazine websites often have to produce reviews on certain products or services. To help you out in this department, the theme offers a dedicated review and rating system. The custom review system will allow you to create detailed product/service reviews on your website coupled with detailed breakdowns of its pros and cons and a review score. 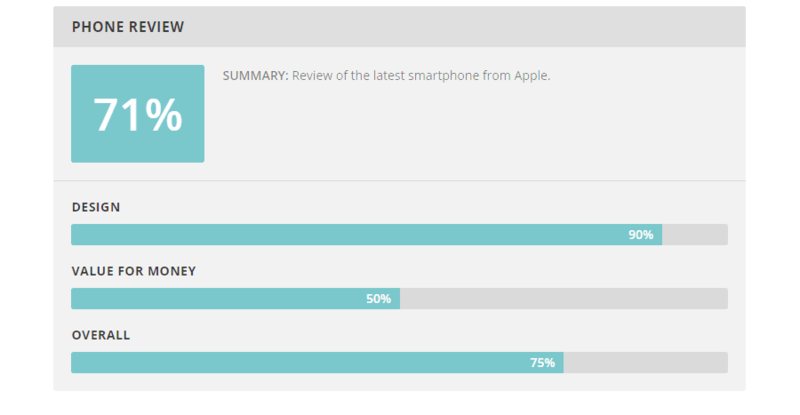 There is also a custom review widget that allows you to display recent reviews to your users. The feature can help boost your website’s engagement level by giving users the power to rate posts and articles they like on your website. It can also give you insight as to what type of content is working best for your readers. A magazine website need not all be about content and posts alone. If you are reviewing products, you can create an online store and sell them to your readers. This can be easily achieved using the theme’s WooCommerce integration. The developers took the time to re-design the WooCommerce storefront making it more coherent and consistent with Extra’s design style. Furthermore, all the wonderful design modules can also be applied to your storefront opening up so many options. You can create a unique looking online store providing users with an engaging shopping experience. And finally, let’s not forget about all the gorgeous project portfolios. You will get access to a bunch of new custom post types for projects. All these bundled with some of those dedicated content modules, and you will be creating A-Grade filterable portfolios in no time. In a couple of minutes, you will be able to set up a dedicated portfolio section on your website where you can display all your work shine and gain some well-deserved recognition. How to Use Extra WordPress Theme? 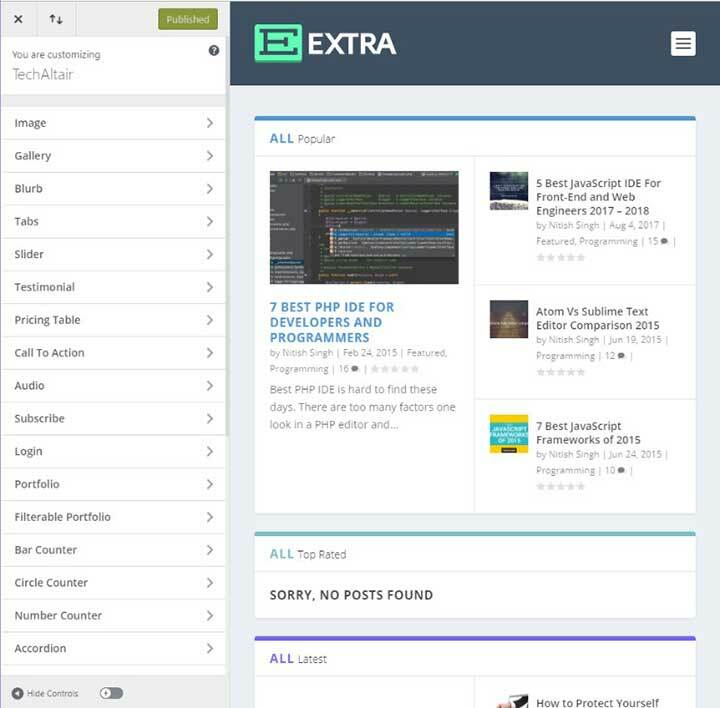 Once you have the theme installed on your WordPress website, there will be a new option called Extra in your WordPress dashboard located in the sidebar. It is here where you will find all the relevant options regarding the theme. First, there is the Extra Theme Options Panel. It is from here that you will get to control all the different aspects of the theme. It is from here that you will be able to set a logo/ favicon for your website. 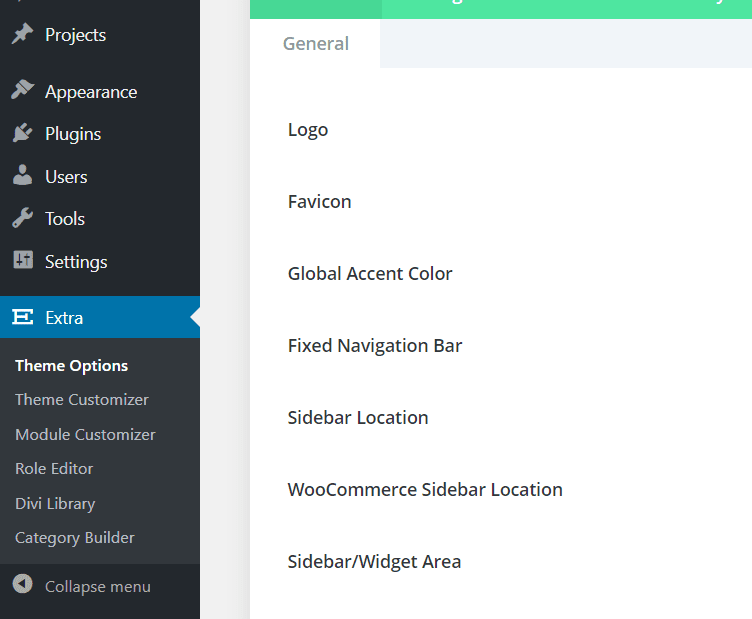 You can also pick a global accent colour for your site, tweak around with the sidebar locations and widget areas. The theme also has support for Google Maps, and you will have to input the Google Maps API Key in this panel. Besides this, you will also be able to insert your different social media profiles along with share and follow buttons. 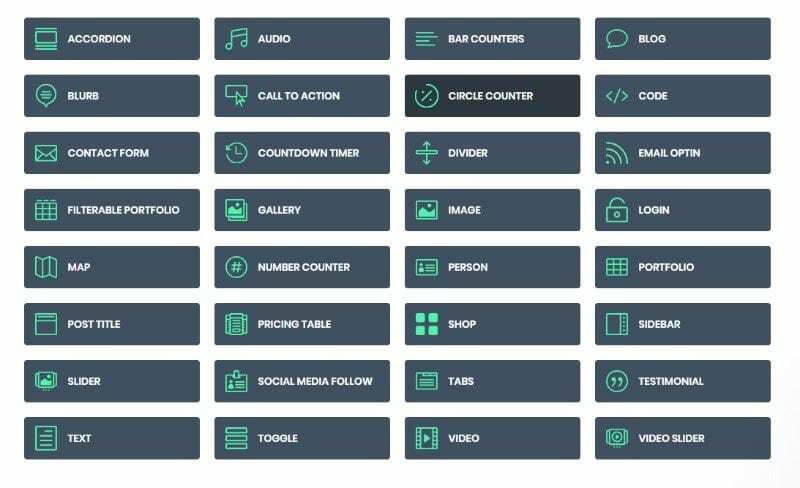 Other options located under this tab includes site navigation control, the Divi builder controls, Layout settings, Ad support, SEO integration, and so on. 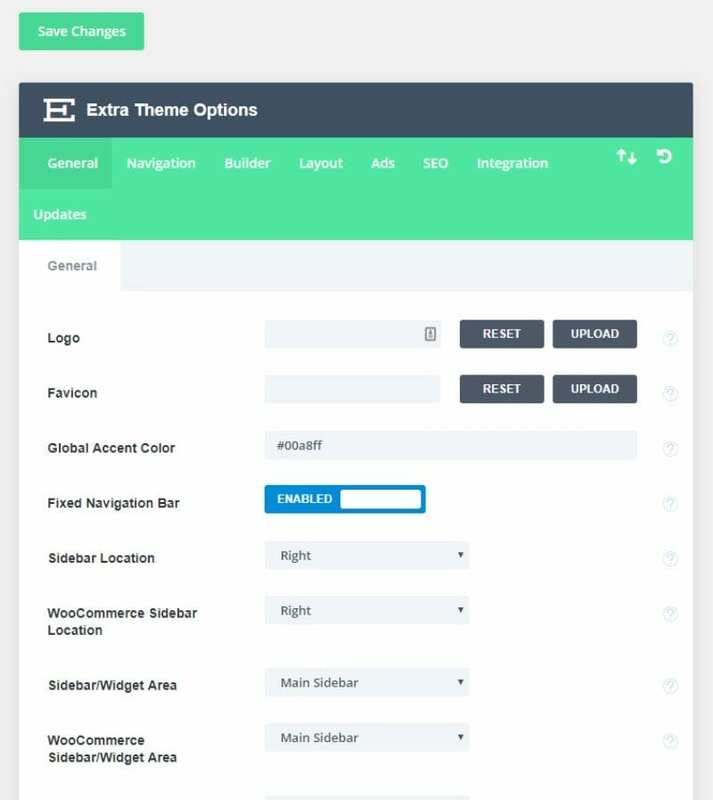 From the Theme Customizer, you will be getting access to over 100 different settings and options to tweak almost every global aspect of the theme and the styling. You will get a bunch of options sectioned into ten different categories. This includes header & navigation settings, footer settings, buttons, social media networks, site identity, background image, menus, widgets, and static front page. As you can guess, each of these categories will open up different settings and options related to those particular areas. However, these options are more geared towards controlling the general website elements. As you go about tweaking the settings, you will be able to see the changes manifest in real time in the preview panel. The Module Customizer looks and functionals similar to the Theme Customizer. But here, most of the categories and settings you will find are provided to help you tweak around with individual modules on your website. 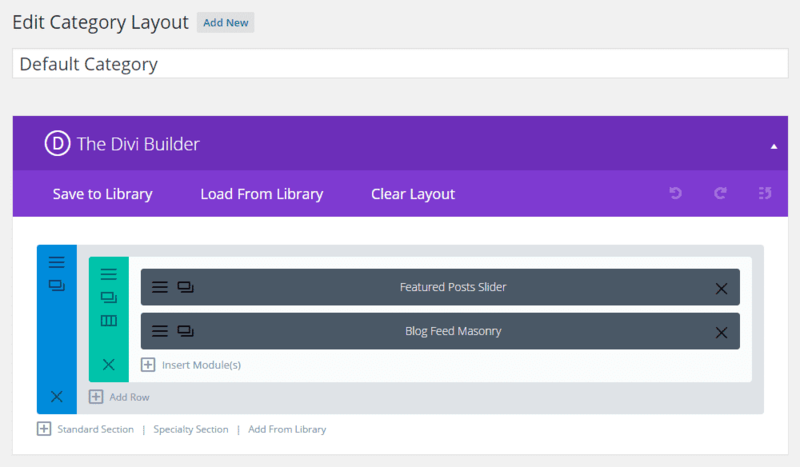 As you can see from the image above, you will get access to different Divi Builder modules. Each of these categories will open up a boaster of options to help you customize those elements. 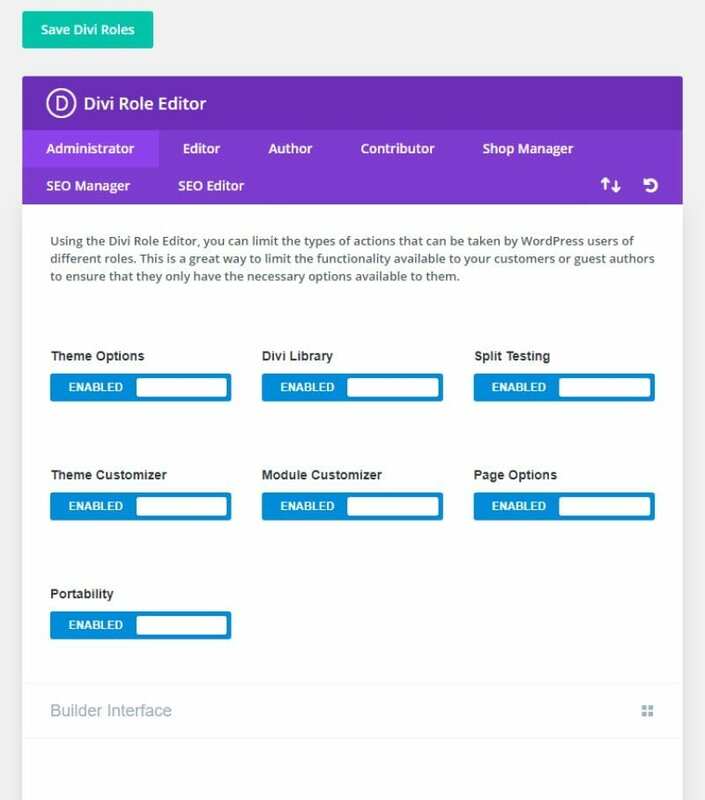 Installing the theme also give you access to the Divi Role Editor. 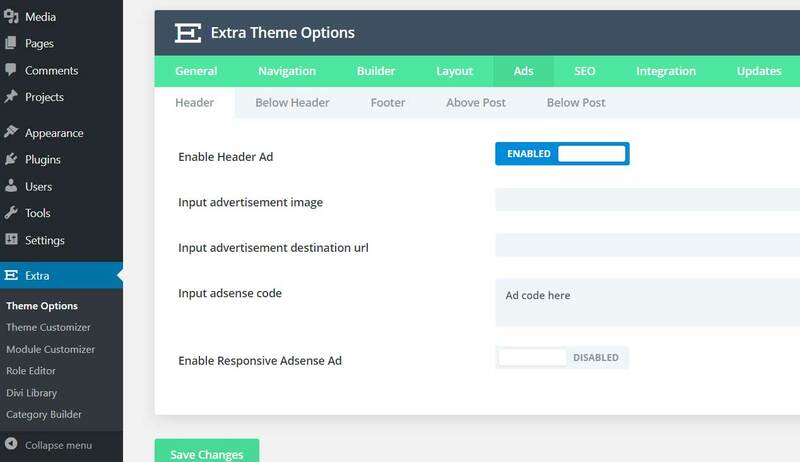 Since, the theme offers a variety of options that allow users to change the post, modules, layout, and structure of your website, it demands that there be a more detailed user role editor. With the Divi Role Editor, you will be able to assign which user(role) gets to control what options. The default user roles include Admin, Editor, Author, Contributor, Shop Manager, SEO Manager, and SEO editor. The Divi Library option will take you inside layouts panel. 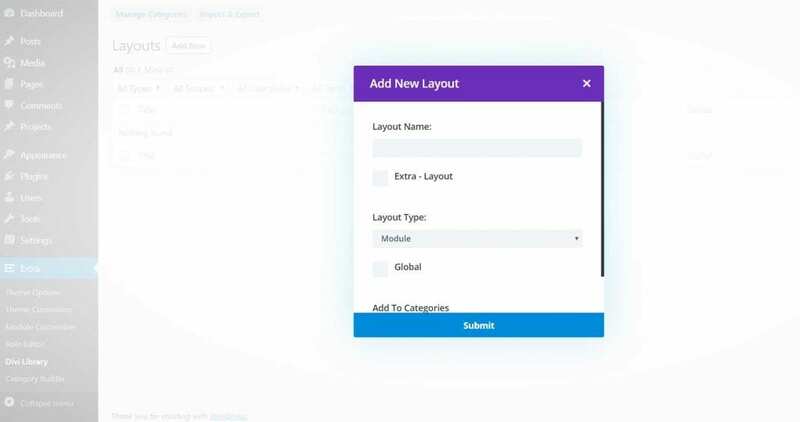 It is from here that you will able to use the Divi Page Builder plugin to add new custom made layouts and save/use them on your website. First, you will have to click on the “Add New” option which will take open up an “Add New Layout” dialogue box. Here you need to enter the layout name, layout type, and also mention which category you want to add the layout. Once done, a new panel will open up where you will have to create the selected layout type. You will also get a front-end editor for easily building. This also functions similar to the Divi Library. You get access to the Divi builder along with all the above mentioned post-based modules to help you create custom categories. 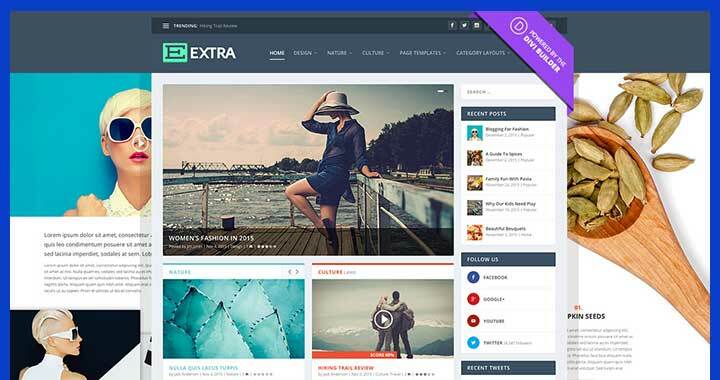 Extra WordPress Theme is available with a membership subscription with Elegant Themes which starts at just $89. 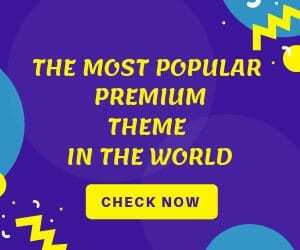 In this price, you get access to all themes and plugins developed by Elegant Themes which rounds off to nearly $1 per theme which I feel is a crazy deal. 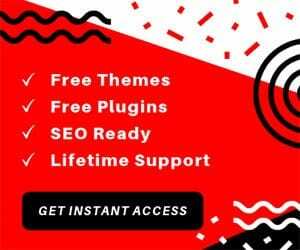 On top of that, you also get premium quality support, constant theme and plugin updates, and unlimited license to use the new themes and plugins. 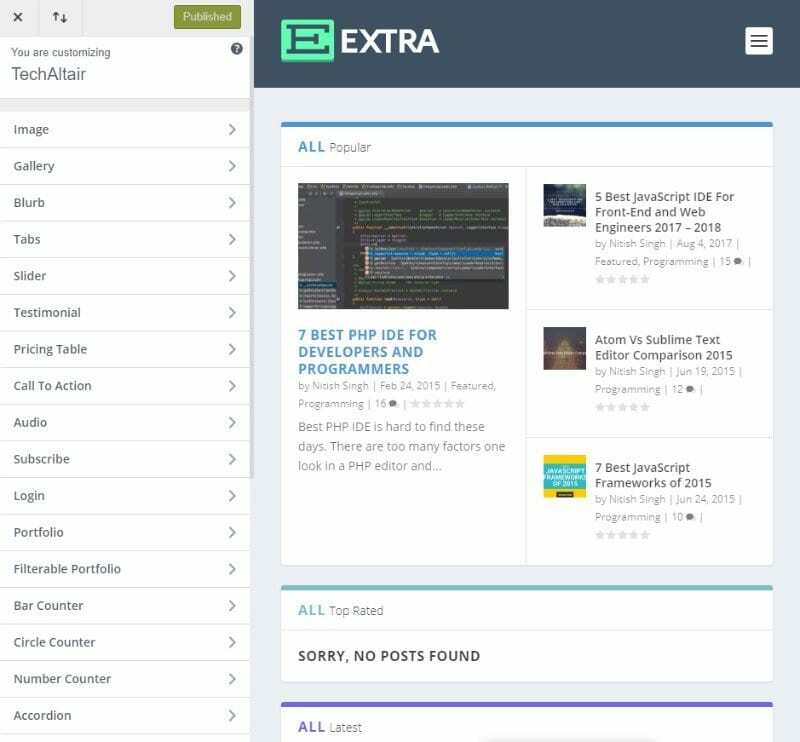 This was our full comprehensive review of Extra WordPress Theme from Elegant Themes. We hope you found this read to be helpful, and that it cleared any confusion you had regarding the theme. To sum things up, if you are looking for a feature packed beautiful looking magazine theme that gives you full on customization freedom, then Extra is an excellent choice. Now, if anyone among you has already used the theme before, then we would like it if you can share your experience down in the comments section. Your fellow readers will love to hear you out, and it might also help them with their own decisions.